When it comes to buying a new smartphone with all new features in an affordable budget, the first option always comes to be Android smartphone. Not because it is cheap but it also provides flexibility, reliability, unlimited applications from Android market to work with and lot more. Well, you can see Android smartphone is used by everyone from business man to school teacher, from high school student to university lecturer, it has become the necessity of life. You will be surprised by knowing that it has just few years since Android has launched and today, it has won everyone’s heart. Android started its series from Cupcake, Donut, Éclairs, Froyo, Gingerbread, Honeycomb, Ice cream Sandwich, Jelly Bean, Kitkat, Lollipop and latest version Android 6.0 Marshmallow. All thanks to Google’s terrific mobile operating system and third-party developers for providing limitless tools and features in the form of apps. It has made sky as the limit when it comes to functionality of the Android smartphone. As you might aware Android provide much more functionality than iPhone? How do you enjoy new features in Android? Obviously, you would say via third-party apps. As they are free to download and install from Google Play Store. But there are much more that Android provides apart from apps. Surprised? Well, you need to be. Since you are using Android from years but I can bet you might not be aware of its hidden features. We are providing you a list of hidden features that Android provides you. Want to know, have a look. This is one of the coolest things that you can do with Android devices. How would be feeling if you get a chance to control your Android smartphone from your PC? I know that looks amazing and useful too. 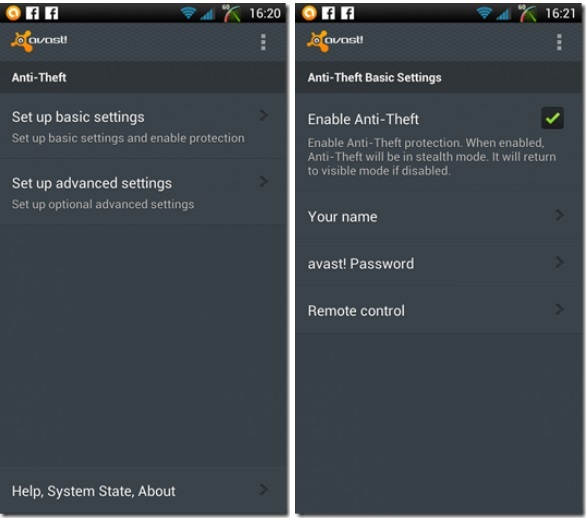 There are various software available that allows you to remotely access your Android device through desktop or laptop. 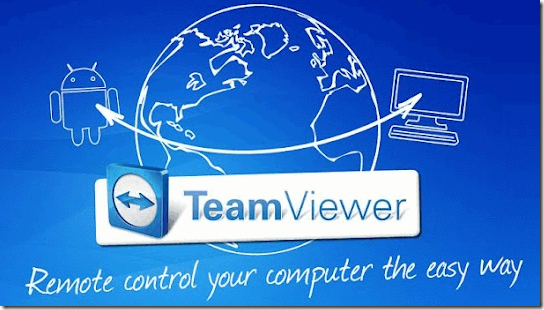 The software includes Team Viewer, Vysor and more. When it comes to smartphone, everyone show some extra care as it helps you to sure your entire content including contacts, important documents, text files, photos, audio files and lot more. No one want their smartphone to be theft by any thief as everything is very important in smartphone that you don’t want to let know like your financial information, your account details. But all thanks to Android Operating system that lets you track your smartphone from any where no matter where you are via Internet connection. Miss happening can happen with any one and it is human tendency to forget things and you know prevention is better than cure. So, one day if you leave your phone behind and you are lucky enough that good hearted person return from phone. But of course security features would not allow him/ her to unlock the phone. So, how one would ever return your phone. Android platform allows you to put your name, contact details, your email address on the lock screen so that anyone can know it is your device without unlocking it. For this, go to Setting–> Security–> Screen Security and then Owner Info. Are you using too much data pack or your data pack lasts for days instead of month? Then this is the time to track your data usage. Well, Android allows you to set warning levels to ensure you never go beyond data allowance. Even it provides you every single detail like how much data you have used from data pack and Wi-Fi and what amount of data is used by which app. To get this, go to setting–> Data Usage. 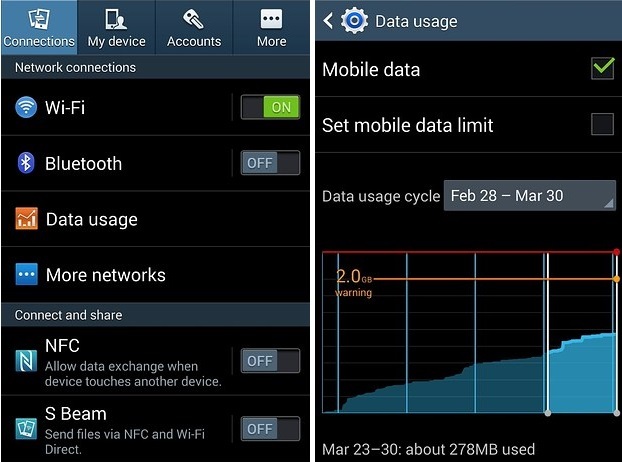 This will surely helps you to control all your data habits. With data pack you must have used Google Apps and Navigation to get the direction. Have you ever tried to achieve so via Internet pack? If you are not having cell service doesn’t mean you can’t use Google maps to guide you. Before you are going, pull up the area on offline Maps and type Ok maps to the search window. Maps will be downloaded soon makes it is possible to use even with no cell service or Wi-Fi network. Think of situation you are in a meeting and getting call one after another but you can’t call back the person or send text message because of your bosses and business partners as it shows irregularity and out unprofessional. 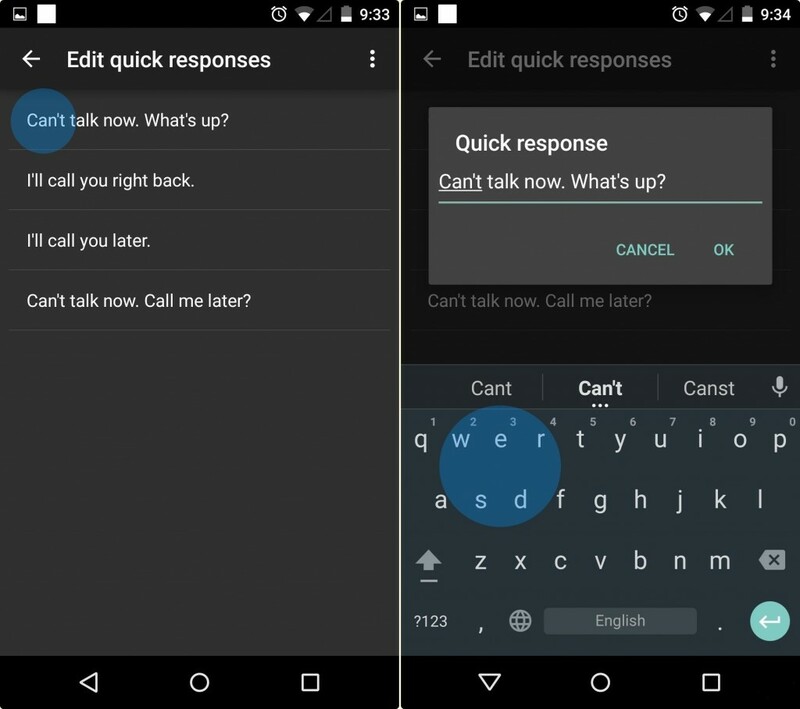 For this, you can try Android feature quick responses to let anyone know why you were not able to pick up the call or you will call later. To create your own note, go to setting–>Quick responses. Next time just swipe the screen to send canned response. This feature is just amazing. 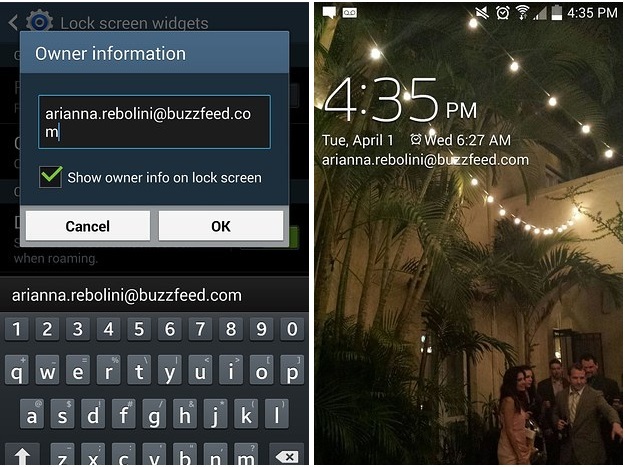 With this feature, your phone will brighten as long as you lock. No use of button or swiping of screen, just your eyes are close the screen will shut off. 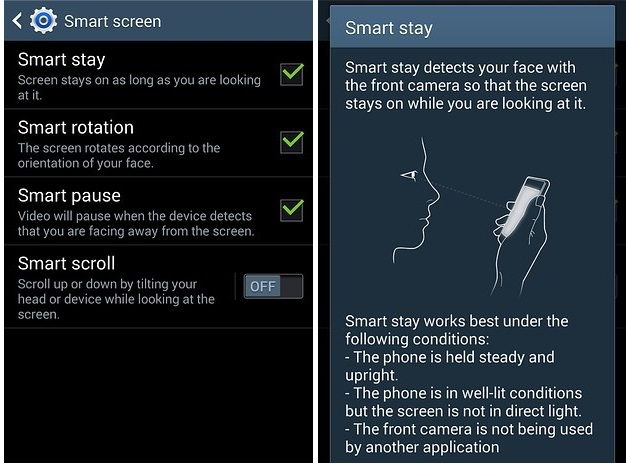 Smart awake is the feature that you might find in Samsung and other devices. Go to setting–> Display–> Smart Stay. Getting bored or want to explore something new, go to Setting –> About Device and tap on Android version. 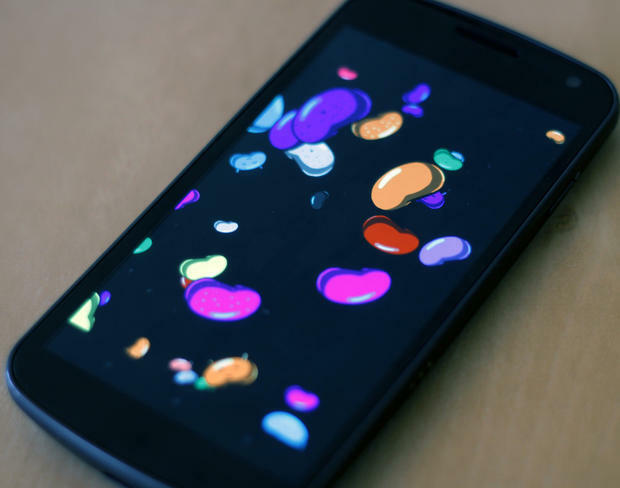 This will bring animated game based on your Android version like jelly bean or Kitkat or lollipop. You can press down the logo and enjoy fun tiled animation. Most of the time it happens we don’t want to talk to some people and can’t even tell them directly. Or if someone is annoying you by calling you regularly, you can use this trick to tackle that person. 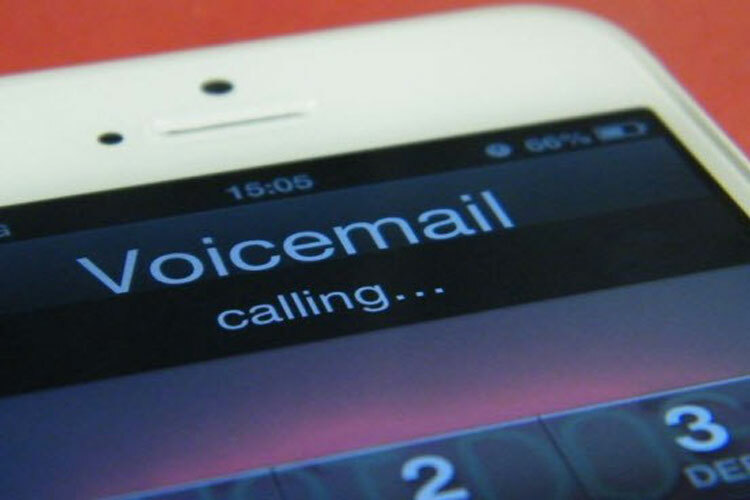 Load the contact and go to Edit option then scroll to Additional Info and select straight to Voice mail. 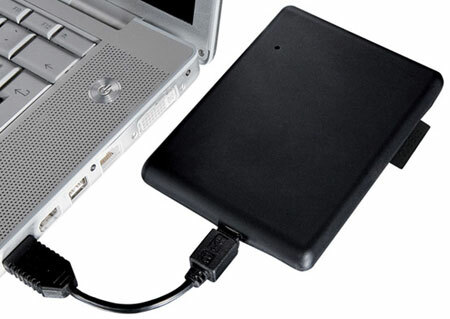 Want to transport files, Android phone can be treated as a portable hard drive by connecting it to computing using USB cable. The phone will ask whether you want to enable it as a USB storage device. Click Ok and then you will see your phone like other hard drive on your desktop screen. Transfer the files the way you want to. Comment below if you have any more to say or share about with us,or with any of your questions.